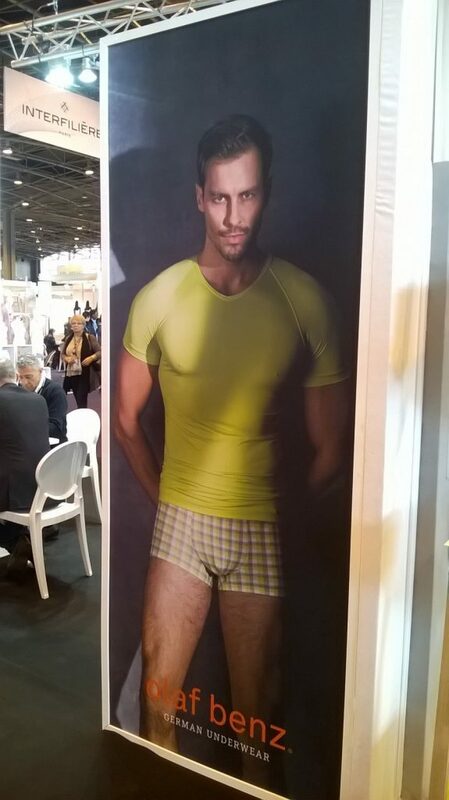 There were a slew of impressive presentations at the Salon International de la Lingerie and Interfiliere in Paris in January, with a few presenters even more impressive, such as the new collection from German brand Olaf Benz. Using on the best manufacturing in Germany, with fabrics imported from Italy, Austria, France, and Spain, Olaf Benz showcased new colours for their Spring/Summer 2017 collection (neon green, blue, yellow), and new prints (tartan, camo, mélange). For the very best in menswear that speaks to those that demand high quality products, the Olaf Benz brand is one that delivers on all fronts. Stay tuned for the launch of their new collection! A sneak peek of the upcoming collection of Olaf Benz. The German brand’s stand at the Salon International de la Lingerie in Paris.